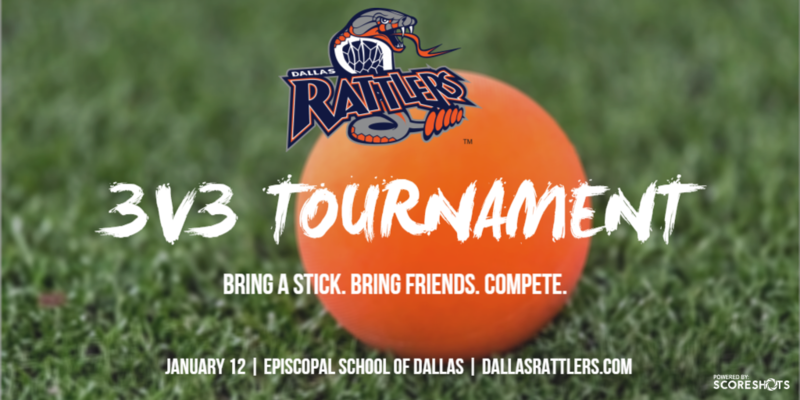 After an incredible first season in Texas, the Rattlers are continuing the mission of growing the game in the Dallas/Fort Worth metroplex with an exciting 3v3 lacrosse tournament on January 12, 2019 at Episcopal School of Dallas. This coed tournament is open to players of all ages and skills levels with divisions ranging from first and second grade through adult intermediate and advanced. Each registered team is guaranteed three games and each game will last 15 minutes. The tournament is non-contact, thus all you will need to play is a stick. Join us at the start of the new year for what will certainly be one of the most fun lacrosse experiences you will ever have! If you have any questions regarding the event, please contact Greg Roberts at (800) 413-6109 ext. 108.